Interview with Christa King, chatting about how to start a transformation, how mindset impacts your weight goals, how to tweak your life for better health, and so much more. Making a change can be scary — you’re in this space between the old you, and the new you. There’s all this uncharted territory, and you’re never really sure how it’s all going to turn out. Sometimes, when we get into that space of uncertainty, it’s easier to go back to what is known, what is comfortable. We self-sabotage because the idea of climbing out of our comfort zone is too much. This isn’t just relative to weight loss or overall health — that fear of the unknown can apply to all areas of our lives, and our brains will use self-sabotage as a tool to keep us from dwelling in discomfort. While that built-in security system will keep us safe, it won’t help us grow … so what do we do to get out of our own way? The mental work is just as important as the physical actions, and we need both components to not only be successful, but to feel good about it. You’ve got to get your mind on the same page as your body — easier said than done, right? Don’t worry, I’ve got some tips for you. In today’s podcast, I chat with our guest Christa King, CEO and Founder of Fitlandia, former dieter, and more recent certified hypnotherapist, life coach, and nutritional therapist who believes that creating new neural pathways in the brain is the key to helping her clients make a permanent lifestyle change. This episode is all about how mindset impacts your weight goals, how to tweak your life for better health, how to finally overcoming self-sabotage, and more. Kettle & Fire’s bone broth is ridiculously gelatinous, non-perishable, and you don’t have to spend the 20+ hours required to make real homemade bone broth! Get up to 28% off + free shipping on your next order of Chicken Bone Broth. 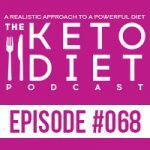 Leanne Vogel: You’re listening to Episode Number 68 of the Keto Diet podcast. Today we’re chatting about how to start a transformation and keep rocking it, how to understand and overcome self-sabotage, why you’re dealing with a carb addiction, and so much more, so stay tuned. Hey guys. Happy Sunday. The show notes and full transcript for today’s episode can be found at HealthfulPursuit.com/podcast/e68 and the transcript is added to the post about three to five days following the initial air date of this episode. Let’s hear from one of our awesome partners. By now, you probably know that bone broth is a mega super food in the keto and paleo communities. Everyone is making it and cashing in on the benefits that collagen and gelatin provide. You know, the reduction in inflammation, better digestion, improved immunity, reduction in wrinkles, beautiful skin quality, etc. But making bone broth takes time. Kettle & Fire make bone broth that’s nonperishable, so that it can be shipped all over the US without refrigeration, which makes shipping less expensive, and you don’t have to spend 20 plus hours that are required to make really good, homemade bone broth. Listeners of the podcast receive up to 28% off Kettle & Fire chicken bone broth when you go to KettleandFire.com/ketopodcast to place your order. Unsure of the link? Simply check it out in the show notes of today’s episode to get all the details. I’ve put together a free 26-page recipe booklet on how to prepare carb-up meals because you guys tell me you need help. You can get it at HealthfulPursuit.com/carbup. If you’re intrigued by carb-ups, a practice that can help you balance hormones, bust through weight plateaus and more, this free guide will show you which foods are safe for a carb-up and how to prepare them really easily. You can get the free guide with over 50 free recipes at HealthfulPursuit.com/carbup. I will also include that link in the show notes. There are no announcements today, so we’re just going to cut over to the episode. Our guest today is Christa King. She’s the CEO and founder of Fitlandia. She also is a recovered dieter after reaching her highest weight. She hit a wall and was determined to crack her own code of making a healthier lifestyle change, leaving a 23 year career in hospitality behind her. She became a certified hypnotherapist, life coach and nutritional therapist. By putting these pieces together, she saw what was truly missing in her diet and fitness, as well as in the industry, which was a holistic approach that starts with strengthening the mind. Her signature mind-zoning process helps people create new neural pathways in the brain to enable them to make a permanent lifestyle change. Christa had me on her podcast Fitlandia, where we talked about how to get over the fear of jumping into Keto. That episode might be a great precursor for this episode that you’re about to listen to. I’ll include the link to her podcast in the show notes if you want to take a listen to us chatting about applying a lot the stuff to keto, as well. 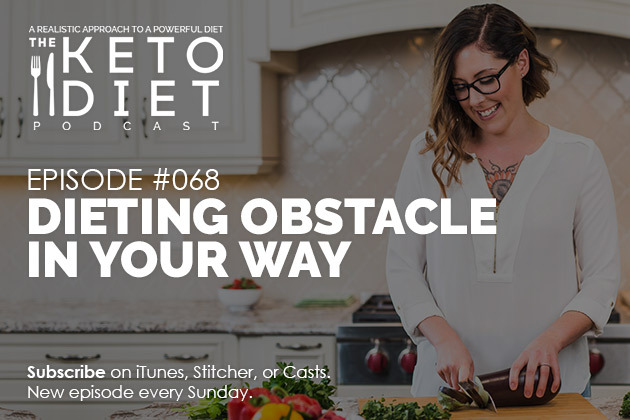 Today, we’re going to be chatting a lot about the obstacle that stands in your way of achieving dieting success, which really has nothing to do with the foods you’re eating and everything to do with your mindset. We’ll be chatting about transformation, mindset, shifting to positive thoughts, how to change your thinking. We really tried to cover it all. I’m really excited to have Christa on the show and let’s cut over to the interview. Hey Christa! How’s it going? Christa King: It is fantastic, Leanne! I am so excited to be on your show! Leanne Vogel: Thanks so much for coming on. For listeners that may not be familiar with your work, why don’t you start off by telling us a little bit about you? Christa King: Yeah, I’ll try to be succinct but I am the founder of Fitlandia, which is an online fitness platform to help people end the dieting cycle by first changing the neural pathways and their brain. Leanne Vogel: Very cool. How did you get into this? Christa King: Again I’ll try to be brief but I was 23 years in corporate America. I completely hit a brick wall. I wasn’t doing fitness or wellness. I was actually doing competitive analysis, strategic pricing for hotels. But, I got burned out so I went on a little soul retreat. I met with 11 practitioners in 5 days and literally within 4 months, I left my corporate career, became a certified hypnotherapist, nutritional therapist, got my second life coaching certification, and really started to create programs and help people get over their own mental obstacles to creating a healthy lifestyle. I was a 192 pounds myself and I’ve been able to maintain 50 pounds of weight loss for gosh, 5 years now just by really uncovering what I call the four cornerstones of fitness, which is good nutrition, daily movement, positive thinking, and community connection. Christa King: Right! Yes, it’s so much more than that. Leanne Vogel: Yeah. Before we get deep into this work and the dieting obstacles that could be standing in your way, how did you find the ketogenic diet? What was that transition like for you? Christa King: Yeah. 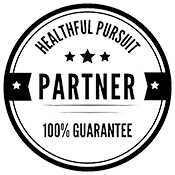 I started partnering with a functional medicine practitioner here in Portland, Oregon. His name is Dr. Jerome Craig and I was actually doing individual, personal work with him to help balance my hormones. Then, he and I started working on some programing with Fitlandia, too. So, I was a part of his 7-week keto program as a beta tester last January. It was the first time I’d done keto, although by that point, I had already understood that my own body functioned ideally around a 60 to 70 percent focus on fat. But, going through the program with him and then really learning everything, a lot of things started to change for me personally. Leanne Vogel: That’s awesome. Where does somebody start when it comes to transformation? Because you’ve… Sounds like you’ve gone through quite a major transformation. What are some tools people can use when they want to start something big and change things in a big way for themselves? Christa King: Yeah. I tend to think about really assessing where you’re at today and two areas that are researched-based, known to be markers for success. What is your desire to change and what is your belief that have the capacity to change? Those are two really powerful things if you’re looking to make a big transformation. One is, you’ve got to believe that it’s within you. By the way, even if you don’t believe it today, I believe in you that you have the power to change. Then, your desire. But there’s a lot tied to that, right? I always talk about the process of making a lifestyle change very closely follows the five stages of grief, right? That denial, the bargaining, the depression, the acceptance. If you do any research on the five stages of grief, and you actually think about what it feels like to go through and make a lifestyle change, it very similarly mirrors that as well as people that are dealing with grief go in and out of the different stages and folks making a lifestyle change can expect to go through those as well. I think just having that knowledge to be able to expect those emotions, we can then better plan to take care of ourselves as we go through those stages. Leanne Vogel: How do I make those change? How do you get into the zone of changing for yourself? I mean, that’s a really loaded question. Christa King: It’s so loaded. Leanne Vogel: It’s so loaded. I’m sorry. Just anything that comes to mind. I know it won’t be a full sustained, “Just do this and your life will be better!” Just something that people can take away from that? Christa King: Yeah, absolutely. Oh my gosh, where do I begin? It’s so loaded, but it’s so awesome. The first thing I want your listeners to just tell themselves is I have the power within me to change. That there is a solution to every single problem. Right? What you and I are talking about today is really those mental obstacles and not to minimize anyone’s situation at all, because there are a lot of dealing with really crazy lifestyle challenges, family demands, relationship demands. I just want to give everyone listening hope that there is a solution to every problem. The resources, you might have to do a little research and digging, but I really want to impress upon everyone that you can do that. That’s the first thing. Leanne Vogel: I love that. I totally love that and I think a lot of the times, people just think that all this stuff is fluff stuff. There comes a point in, I think, in most everyone’s life where the counting of calories and the constant obsession of food and manipulation of those macros just doesn’t work anymore. I know for myself, a couple of years ago, although I felt like… In my twenties, I had a lot of willpower. I would do anything. I never asked questions, even if I hated it, I did it because I knew that if I did it or I thought rather, if I did it my life would be better. Then, when I got to my thirties it was sort of, yeah I have no interest. This is boring to me. It doesn’t make me happy and so you have to pull on other pieces and work through that mind stuff in order to support your goals or where you want to get to in life. I feel like maybe there’s a transitionary period of I have no willpower, at all. Leanne Vogel: If I want to do something, it comes from a place of me actually wanting to do it and believing it and putting positive mindsets behind it. Would you say that that’s fair and some people do deal with that? Christa King: Yeah, that’s one hundred percent accurate. In fact, in the nutrition and mindset program that I run, we don’t count any calories. It’s all about creating those thought patterns but I’ll also give a practical example to reinforce exactly what you’re saying. For me, my thing is wine. I love to drink my wine. I know it’s not good for me and I noticed through the end of 2017 that I was celebrating a little too much. I was falling back into an old pattern that I didn’t want again. What do I have at my disposal to get me out of it? I have my thoughts. I just started creating, I call them little mind-zoning mantras. They’re just little phrases that you can give yourself that are creating that new thought pattern. I’ve just going to give myself a mind-zoning mantra. It’s easy for me to be sober. It’s easy for me to be sober. Then, the number one thing that you want to do with that is attach the emotion. Whether you believe it or not, attach the emotion of what it would feel like if you genuinely believe that statement. Oh my gosh, how great does it feel to say to myself, “It’s easy for me to be sober”? I just kept telling myself that. Anytime I thought of it, yes, it is. I attached emotion. Now, I just imagine that emotion filling every cell of my body. Next thing you know, two weeks later, I say to my husband, “Hey—“ we went sober for the entire year in 2015. “Do you want to do six months sober in 2018?” And he was like, “Well let me think about that.” And I’m like, “Okay, because I’m doing it.” Sure enough, here I am, entering the new year six months sober. It really is engaging the power of your mind because that willpower doesn’t work. That’s two different things. Willpower is excitement and the brain being fired up in the pleasure center, just going, “Yes, this is exciting and fun!” But, that wears off. That’s not a thought pattern. But when you replicate these mantras, attach the emotion to it and keep doing that, that’s actually going to create the new neural pathway. Then your brain just says okay, this is my blueprint and now my actions are going to follow that. Leanne Vogel: It’s so perfect and something that I wanted to touch on is fear. You can say all day long, it’s easy for me not to drink but I think… Were there periods, I guess, throughout that where fear popped up especially fear of change? Okay, what am I doing with time and how am I going to deal with maybe, stress? Stress when I drink wine and how do I deal with this? Oh my gosh, I’m not ready for this change. Another kind of technique that I use to overcome fear, because there’s lots of fears, right? Fear of am I really worthy of this health and vitality that I’m bringing into my life? Fear of success, how are people going to treat me differently because they absolutely will? Fear of I don’t have the right resources set up to be successful. Terrible fear of failure, right? All the things that… We don’t like to fail, right? But, there’s beautiful learnings in failure. I just want to invite everyone, if you’re afraid to fail, embrace it because there’s beautiful learnings in that. But, fear of being able to … all the things that come with it. That self-sabotage stuff that’s behind it. What I will say, is one of the things that can set you up for success is to write a pros and cons list. This can really break through a lot of fear because when I was looking at giving up alcohol for a full year. Now, let me tell you everyone listening! I was a bottle of wine a night person. The idea of giving up alcohol for a full year terrified me. But, I did my pros and cons list. What did I think I was going to get out of it? Body, mind, spirit, everything. I came up with 32 things that I thought would improve in my life. Then I put my cons list, right? All the things I was afraid of and I only had 5 things on that list. That visualization right there can be very powerful in overcoming your fear. Leanne Vogel: I really, really love that so much. I guess, by the time the show airs, I’ve already done it. I was invited to go on Kelly and Ryan, Live on Kelly and Ryan, which is such… I mean, I used to watch that show with Regis and Kathy and the whole bit. I used to dream of being on that show and then when they approached me they’re like, “You should come on our show!” I was like, “Yeah, I should!” Then, the fear started popping up: oh my gosh, there’s 5 million people watching. This is going to be a big deal. I don’t think I’m ready for this. Man, I love the idea of putting together a pros and cons list because that’s really what you do in your head. You’re like, all these bad things will happen but all these good things will happen! Leanne Vogel: You have to put it down on paper and really see. As you were talking, yeah! Pros and cons list. I mean, there’s so many more pros than there are cons. So what, if you screw up, you screw up. That’s really the only con. Leanne Vogel: But there’s so many pros of sharing your message and getting people healthier. I mean, you can list off all the things. When you put it like that, well that totally outweighs the cons. You just got to do it. You just got to do it. Christa King: Yes! You just reminded me of another really powerful technique that we use in hypnotherapy, which is called worst case scenario. Sometimes, right when we have a lot of fear, we haven’t really uncovered what we believe could be the worst possible scenario. Now, that sounds like a negative thing to do but really, what happens through that process is we discover that we unfounded fears, that really aren’t realistic. But also, if we uncover some fears that are realistic, we can then create strategies to overcome those fears. I think that left brain that wants a plan, that wants some strategies around. How are you going to keep me safe? If the alcohol isn’t going to keep me safe, then what are the strategies you’re going to put in place to do that? The other thing that you brought up, that’s the first thing: what’s the worst case scenario and come up with strategies for that for the things that you really are afraid of. Then also is, this idea of being powerful in vulnerability and really embracing that human connection. If we all shared our dark, scary fears, we would realize we are all in the same boat together. We all have fears. But, when we bring those fears to the table and we present ourselves regardless, whether it’s changing our lifestyle, whether it’s going on television, whether it’s when I interviewed you. It’s all those fears, right? No, tapping into the genuine human connection and the beauty that we all have to give the world and showing up as our best self. Flaws and all. Leanne Vogel: More on my interview with Christa King, after this message from one of our podcast partners. It’s very true, you think when I show up in a different way and I have all these fears. Nobody else feels like I do and I’m alone. When you find that community like you said, whether it be a therapist or a Facebook group or Instagram, and you start talking with these people, and you’re like, wait a minute, you feel that way too? Oh my gosh. I feel this way. Really? Then, all of a sudden, you’re not scared anymore. I saw that over and over and over in my book signing events. At the beginning of the signing, everyone wasn’t really sure and we’d spend two hours together. Turns out, most people follow each other on Instagram. And they’re like, “You’re that person?” “You’re that person?” Then, they start talking and the room just got a lot more comfortable as people started to open up with one another. Leanne Vogel: You see that all the time. I think that sense of community and helping nourish your mindset and I’ve seen being very, very helpful. Christa King: Yes and our brain loves validation. When someone is sitting across from us identifies with that same fear, it takes so much of the volume of the heaviness out of that and actually turns it into this beautiful connection of alright, let’s do this together. Leanne Vogel: Totally. Okay, so let’s assume that we’re ready for transformation. We’ve got the right mindset. We’re committed to positive thinking. We’re catching ourselves when we’re thinking negatively and switching that around and seeing how we’re going to protect ourselves from that and really getting into that mindset. What happens when we hit an obstacle? How do we… Can we prepare for obstacles? How do we overcome them in a positive way so we’re not backtracking or getting stuck in that never ending loop of negativity? Christa King: Yeah, that’s great. We will all hit obstacles. We can have the best plan. We’ve got all of our meal plans lined up. We’ve got our recipes lined up. We’ve scheduled all of our workouts and life is going to throw you an obstacle. I think the number one that you can do is go through those with grace and forgiveness, right? A lot of people will, “Oh my gosh, I didn’t get to my workout today because my kid was sick and I had to go pick them up at school and now I’m totally derailed.” No. You are not totally derailed. You are always moving forward. Nothing is taking you back. This obstacle cannot take you back. Leanne Vogel: Yeah, I think that that’s great. Just kind of seeing, I’d like to compare it to the Snakes and Ladders game. Have you ever played that game back in the 90’s? Christa King: In America, we call it Chutes and Ladders. Leanne Vogel: Oh my gosh, really? Chutes and Ladders, really cool. Well, in Canada we call it Snakes and Ladders. I had no idea! Okay, cool. Chutes and Ladders. It’s very rare that you hit that snake that takes you all the way to the beginning. I think it had to be months when I played the entire game. Usually, it’s two steps back, ten steps forward, one step back, you know? Then, you get a ladder and you go all the way up. I think life is very much like that. Those obstacles, it’s like aw shoot, I’ve got… Are there no snakes on the game? They’re chutes? Christa King: They were just little slides. Christa King: We’re going to make this dark. Leanne Vogel: Seriously, what’s up with that? That’s too funny. Slides. That sounds way better than sliding down a snake. You know, those things are going to come up and those obstacles are going to come up and what you’re saying is really forgiving yourself and moving forward. That’s really great. Now, what about self-sabotage? Where does that stem from? I think we touched on it a tiny bit in the mindset piece and willpower, but I’d love to dig a little bit deeper in self-sabotage. I’m a very good self-sabotager. Leanne Vogel: I could have a full time job in this. Christa King: Right? I should get a promotion because I do so good at this. I think this is where the deep stuff comes from, right? I’ll give a really crazy, powerful example of what self-sabotage can look like. I tried every diet in the book, prior to really grasping this idea of understanding how foods can cause sugar cravings and craving cycles and addiction and blah blah blah and how my mindset really needed to happen. I was actually doing an HCG diet for a period of time and I remembered my weight had stalled in the middle of the protocol. I was doing it perfectly. I went to see the doctor that I was working with at the time and she actually had me do something really powerful that I give everyone to practice. I didn’t know it at the time. This was before I got my hypnotherapy certification, but this is actually a way to tap into the subconscious mind to understand where is this coming from? Weight stalled, she said you know what, I’m going to have you do something a little out of box. Take this piece of paper and take this pen. Hold the pen in your non-dominant hand and with the intention of understanding whatever it is. Why you’re self-sabotaging, why are you eating at night, why are you holding onto anger for other people. Whatever it is. With that intention to understand why, just start free writing all the words that come to mind using your non-dominant hand. Now when you do that, what actually happens is, your brain is so focused on writing the words that you’re actually able to tap into the subconscious because that’s what happens when we’re in a relaxed, focused state. Don’t you know, I start writing a couple words. Made no sense to me and she told me, even if they don’t make any sense, just write them down. The third word I wrote down was punishment. It hit me like a wave. I actually realized that I had been punishing myself for something I was deeply ashamed of. When I realized that I was holding onto this weight is a form of punishment, in this deep lack of self-worth that I had, I, in that moment said okay, that’s enough. I’ve learned from that scenario. I forgive myself. I’m okay to move forward. I kid you not, the very next day I started losing weight again. For those of you listening, there is a deep reason why you are self-sabotaging. Whether that’s punishment, or lack of self-worth, the lack of mind/body connection, all those things. Or, it could just be a physiological addiction to sugar, refined carbs, alcohol. I talk about that a lot. People just don’t understand how that reward cycle plays out in the brain. When we spike our blood sugar and what that does in our mind, and self care that needs to happen to overcome that. It’s really just being gentle with yourself and understanding the root cause of it. I know that was a big explanation, but I think that technique and that trick can be so powerful to help someone uncover that. Leanne Vogel: I’ve never heard of this and I cannot wait to try it. Christa King: It’s so good. Leanne Vogel: I’m totally going to do that. I love that. It totally makes sense. I’m pumped. Thanks for sharing that with us. Christa King: Yeah! My pleasure. Leanne Vogel: We chatted about this, I think, in our last call when we were chatting for an interview that you did with me. How to make time for this work? Leanne Vogel: A lot of people are listening to this podcast and they’re like, “That’s really great, but I have a full time job, three kids, and each kid is in a separate activity and I also volunteer at this place …” How do you, personally, make time for this work? Because it does take time and I know for myself, it took a lot of time up front. Now, it’s sort of, a couple of minutes a day is really all I need to stay balanced. But what are your time saving tips when it comes to this kind of work? Christa King: Yeah. I have a few of them. First of all, shout out to all the mothers out there. I don’t know how you ladies do it. I’m a mom to five furry kids but not humans. It really is remarkable what women and men alike, parents, just all that they give to children and the sacrifices that they make. I first want to acknowledge that there are some really intense, hectic schedules out there. I also know, Leanne, you and I… I think we talked about this. As entrepreneurs, we can be working 60+ hours a week just putting in the effort. No matter what your situation is, you have to prioritize this. I want to say that we can actually get more done when we make the four cornerstones of fitness the priority. Even if, it’s just little bursts of time. But, when we are fueling ourselves with good nutrition when we are moving every day, we get this mental clarity that you can’t get without it that then helps you start to make really wise decisions about your schedule. Am I watching television, getting lost in a TV show? Am I binging on Netflix? Okay, I need to move that off my plate. There’s always something we can tweak in our schedule and get clarity around the things we shouldn’t be doing. I hate to use the word shouldn’t, but the things that we could move off our plate to open up some space for healthy eating and daily movement. What it does for the brain, clarity, focus, positivity helps us in everything that we do. Leanne Vogel: I’m so glad you mentioned that. There was a practice that I did a couple of years ago based on a book that I can’t say the name for because there’s no swearing on the show. It basically, all you got to do, and I’ll include a link in the show notes for the book too, is list out the things that waste a lot time, energy, and money that you don’t like doing and things you like doing that it doesn’t really matter how much time, energy, and money you spend on it because you enjoy doing it. I went through all of these things that I just didn’t care anything about. They were wasting all of this time and one of them was owning a house! Now I don’t own a house anymore. Leanne Vogel: I don’t really enjoy doing this. Why do I keep doing it? When you make that space and you have that extra time and you’re actually doing things you like doing, all of a sudden life becomes a lot easier. It’s quite an amazing practice. Christa King: Yes. I was also thinking of another tip that I give the participants in the program. You have to ask for help. I have an actual mind-zoning audio session called Role Play for Support where you actually get to ask your community around you to help you with things, right? I think women especially have a hard time saying I can’t do it all and I need help. Coming up with creative ways to support each other again, it always comes back to that community connection and the tribe. Can we start ride sharing more and coming up with schedules that help the tribe and open up more time for us and consolidate our energy? Leanne Vogel: I love it. Taking these practices that we’ve chatted about and moving it over to the keto space because we’re both keto and all the people listening are probably keto or thinking about keto. Leanne Vogel: How do we, how do you approach macro-counting when it comes to the mindset? Because on one side, you have the people that say you have to count your macros in order to be keto. If you don’t count them, you’re not keto. On the other side, and I’ve definitely been guilty of this too and I’ve tried to be more mindful of, the only way to do it is to intuitive eat. How do you find a space that’s best for you and how do you stay in that mindset when it comes to macro-counting? Christa King: Oh my goodness. Okay, the first tip is don’t lock yourself into any one mindset because it can be fluid based on where you are. But, I would say… And this is just my take on it, right? Full disclosure, 25 years and analysis and strategy. My left brain is fascinated with macros. When I started, I was crazy about counting macros just because I was fascinated by it and making the connection between my macros and my body and what was going on. Honor who you are and what kind of style you are. Approach everything from health, right? What’s going to make you healthiest? For me, it was analyzing my macros. It was being super, super strict about it in the beginning just so I could see what happened. But, that doesn’t work for everyone. For some of you that might be feeling overwhelmed by the idea, like you think that you need to know. That whole, “I hate to log everything.” Just do general logging. Just focus on fat, focus on high quality foods, and see how you feel. Understand what are your goals and are you progressing toward them? The other thing that I noticed when Dr. Craig and I ran our programs last year was there a lot of people that were like, “I have to measure my ketones every single day to know that I’m in ketosis.” What I want to encourage everyone through Fitlandia, the whole mission is to end dieting. It’s to end that whole obsession with weight loss and dieting, and instead make that mind/body connection on how you feel. I think where you’re counting macros and you’re actually tracking how you feel, so your sleep, your movement, your pain, your energy, your focus, can go along way in understanding what are the right macros for you. I know I’m not giving a definitive answer because everyone wants to know. Tell me exactly what to do. Christa King: Well, if you are curious, if you come from a left brain, kind of approach, definitely count your macros. If you are overwhelmed at the idea of getting started with keto, then just focus on cooking really clean, healthy, fat filled meals. Leanne Vogel: Yup. I totally love it. Yeah. Knowing where, who you are, where you’re coming from. I mean, I know when I started keto, I really loved doing the tracking and the measuring because that geek and analytical individual in me just loves that stuff. I was analytical program manager at a payments company that I worked at previously. I love charts. I love numbers. I’m all about it. But, that’s that part of me. But, the other part of me is I have an eating disorder for many years. Leanne Vogel: Although I love the numbers, I love other people’s numbers. I can look at the left, right, sideways, up and down. But, as soon as they’re my own, it gets a little bit funky and I start to add in these layers of disordered patterns and thinking and negative thoughts. All of a sudden, I’m down a rabbit hole of I’m a horrible human and I don’t deserve to eat again. You really have to be mindful of those different areas of your life. Yeah, you’re right. I don’t think there’s any definitive answer but it’s really knowing yourself and applying the principles that we just chatted about and determined what approach might be best for you. Christa King: I’m so glad you mentioned that because I don’t think we talk disordered eating enough and certainly, anyone if you have a propensity to that. People that are in my programs, if that’s a past experience for you, don’t even weigh yourself. Let’s just focus on health and mind/body connection and making yourself feel amazing. Yeah, as long as you feel good, that’s really my goal. If I wake up and I feel good, I’m winning today. Christa King: Yeah, this is my number one passion. Sugar, refined carbs, alcohol, right? They all have the same impact on the brain. If you are struggling with a carb addiction, the first thing that can be really, really beneficial is really the ketogenic diet because you’re going to clear out the bad bacteria in gut that you’ve been feeling that’s sending a message to your brain, “Go get us preferred food,” and start to help your body release some toxins and feel better. It can take a really good week before you start to feel that relief. But, here’s the other thing that a lot of people don’t realize that’s tied to this, right? It’s that you’re lighting up the pleasure center in the brain. If there’s other areas in your life, like major stresses going on and you haven’t created strategies to soothe them, you will continue to create these from a mental perspective. Because what happens, and this is why I got fascinated about the research behind why do 70 percent of people fail at dieting, right? “Traditional dieting.” Why do they fall back in old patterns? Because their primal brain kicks in when they go through a major life stressor such as a divorce, a move, a job change. For a lot of us, it’s even family pressure, like my parent is ailing, my kids are struggling at school. It’s the compounding of all that stress where our primal brain kicks in and says, “Enough, I need to feel safe. I don’t care if it’s go get the candy bar because that’s going to make me feel safe temporarily.” It just knows, make me feel safe. Really, having a strategy to support your brain in other ways, whether that’s meeting a regular therapist to strategize those life challenges. This is why I say daily movement as a cornerstone of fitness and it doesn’t have to be crazy. It can just be a 30-minute brisk walk. But, firing up the brain in other ways that support you. Community connection. There’s research that shows the power of community connection. That’s why I keep coming back to the four cornerstones because these can all be things that satiate the brain to help manage those carb addictions and get you through them much more quickly in an easier, more joyful way. Leanne Vogel: All great tips. I have one last question for you before I ask, well the last, last question. What do you think is missing from the keto space right now, specifically for women? I like to ask that of my women guests just to, kind of, get a sense of what we feel is missing or maybe everything’s on mark. I just always like to ask, what you think is missing in the keto space? Christa King: Yeah, I’m on a few different keto groups on Facebook and this is why I’m such a champion advocate and promoter of all that you do, Leanne, because I think what’s really missing is a healthful approach to keto and not just when we just macro count. We could be taking in a lot of foods that really don’t suit our individual bodies, right? I think it’s not necessarily tailored to women. Although, I’ll give another thing that I think is missing in this space that is tailored to women. But, I think approaching keto from a really health perspective and not just macros, where you’re eating a lot of processed food or things that just really disrupt the body, which really is, kind of, a segue to talking about women and hormonal balance. I don’t think we talk nearly enough about the aging process of our bodies and the power that keto has to help women in transition from their thirties, forties, and fifties. I mean, and that’s just me, selfishly what keto’s done. I’m 45 years old and I don’t feel it. I don’t think I look it and a lot of that has to do with focusing on fat and certainly what it’s done for my hormones and balancing my cycles every month. But, then the last thing that I’ll give is because it’s everything that I do on Fitlandia is really focusing on the mindset. I think women need a place to celebrate, to grieve, to navigate, to strategize, to feel vulnerable and all the things that it takes to make a lifestyle change and to not beat our bodies up, to not body shame ourselves, but actually embrace that our healthiest self might look a little bit bigger than somebody else and that’s okay. Leanne Vogel: Beautifully said. Drop the mic. Christa King: Right? I’m done! Leanne Vogel: Completely, I love it. Where can people find you if they want to follow you along and see what you’re up to? Christa King: Yeah! You can head over to FitlandiaFitness.com and my link to Instagram is on there. I also, if you do a search on Facebook for groups under Fitlandia, I have a closed Facebook group. We don’t promote one diet over another. It’s really just about creating a healthy lifestyle and community there. Then, certainly anyone that joins my thirty days to thriving program, you get me every single day because that’s a secret group that only the members of the sessions get to join. I’m just there as your cheerleader but I’m also the believer that there’s a solution to every problem. I’m helping everyone knock out those obstacles left and right. Leanne Vogel: I love it. We’ll include links to all of those things in the show notes today, which you guys can find at HealthfulPursuit.com/podcast/e68. Thanks so much for coming on the show today, Christa. I really appreciate it. Christa King: Oh my gosh. What an honor to be a part of your show. Thank you, Leanne!